In a Developer Event conducted recently by Amazon in Las Vegas, the company announced the launch of its new platform for Artificial Intelligence and Machine Learning. This new platform is intended to help the developers outside the company through an array of intelligent web services. 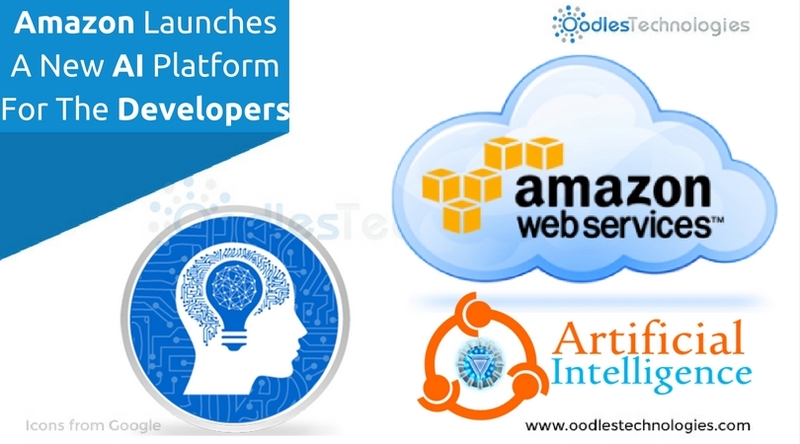 This AI platform will be a part of Amazon Web Services (AWS) and will provide necessary Machine Learning tools to the developers. This in turn, will help the developers to build smart applications based on Artificial Intelligence and Machine Learning. Amazon had been working on this AI development suite for several years and though it might be a new addition to the Amazon service line-up, the company has a solid Machine Learning background. The CEO of Amazon Web Services, Andy Jassy explicated that the company had been using the Machine Learning resources to streamline the internal processes for quite a long time. This step is another stroke played by the company that should help in consolidating its network and claim its niche in development domain. Through this blog, we bring you the insights of the event as well as the services that Amazon has in its bag for the developers. Also read An Industrial Revolution Revolution Sparked By Machine Learning. The Amazon AI suite has three main services under the hood, the first one being the AI based image recognition technique. They call it the Amazon Rekognition which is powered by Deep Learning and provides incumbent tools for image recognition and analysis to the developers. This service however, is similar to the ones offered by Google and Microsoft Azure. It allows you to detect and recognize objects or people in an image or a video. Andy Jassy proclaimed that this technology is smart enough to recognize the breed of a dog if such an image is shown to it. He further added that they won’t be charging an exorbitant sum for this service and it will fit right into your budget. The term LEX is derived from the name Alexa which happens to be an intelligent personal assistant developed by Amazon. As recalled by the company, LEX incorporates the underlying technology behind Alexa. It renders powerful voice interaction capabilities to the developers and further aids in building conversational applications with bot features. For instance, Amazon LEX makes it easy for the developers to create magnificent application with chatbot integration. The developers can either create standalone apps with bot features or they can simply add bot features to the existing apps. The bot modules offered by Amazon LEX console can be trained to learn human behaviour with little efforts and then it can be used to power all sorts of AI based mobile and web applications. Although there are plenty of competitors out there for Amazon in this domain, the company assures that it aims to provide out of the box services at nominal rates. However, the pricing hasn’t been announced for the services yet but we can expect it to be at par with Microsoft Azure’s or a little below that.